Copan in modern Honduras was one of the great cities of the Classic Maya. Explorers found ruined temples, plazas, and more hieroglyphic inscriptions and sculpted monuments than in any other site in the New World. But the stones were silent, the script undeciphered. At last, an international team of scholars is solving the puzzle of Copan and the ancient Maya. William Fash shows how decipherment of the Maya inscriptions, together with new tomb finds, have unlocked the secrets of Copan's history. 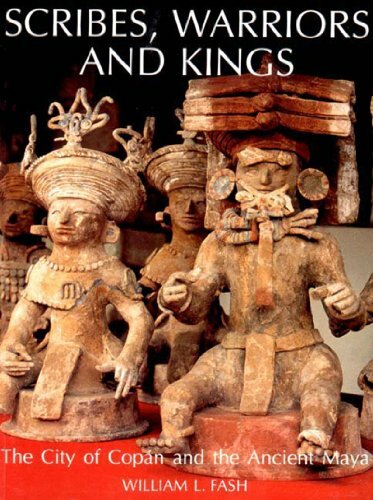 He describes the city's rise and fall, discusses all aspects of life in Copan, and presents photographs and drawings of the site's spectacular architecture, sculpture, and jade artifacts.